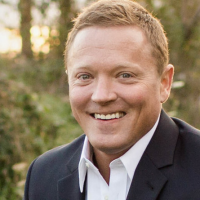 Jeff Statz - Is This The Last Chance for Low Rates? The answer depends on the definition of 'a while.' There's always some risk that rates will rise for longer than we might like or expect. If we're talking about the length of time that most prospective mortgage borrowers have a loan in process, that risk is a bit bigger than normal at the moment. The saving grace is that rates will almost certainly be lower than they are today at some point in 2019. This has to do with timing and a few other factors. For roughly 2 straight years, rates did almost nothing but move higher. The first half of 2017 was something of an exception as rates managed to recover, somewhat, from the big spike at the end of 2016, but it wasn't much of a consolation in the bigger picture. Besides, it was right back to higher rates heading into 2018. All of the above sounds like good news for rates. 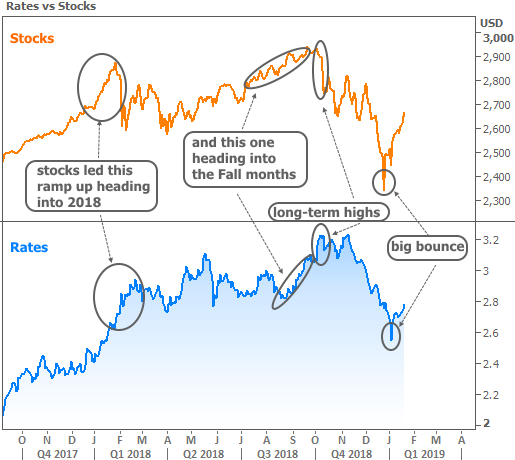 And it would be, were it not for the fact that stocks have been in the process of bouncing higher in January 2019. 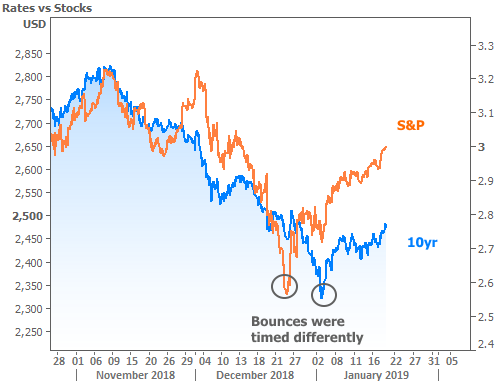 Actually, stocks first bounced at the end of December while rates were able to continue lower. But rates eventually followed suit in early January. Since then, the correlation has strengthened again. That's hard to see on the chart above, but easier to see on the shorter-term charts below (same indicators, different scaling). The government shutdown and trade negotiations are complicating factors. Investors are currently sprinkling a bit of caution into their outlook until these uncertainties are resolved. For investors, "caution" is often synonymous with "sell stocks, buy bonds" (bond buying = lower rates). The implication is that the end of the government shutdown and the inking of a trade deal would only suggest higher stock prices and more pressure on rates. Despite the apparently strong case for gloom and doom, there are reasons for hope. Nothing will change the fact that this economic expansion cycle is historically long and that investors are nervous about it ending. The Fed is increasingly talking like it might be done hiking rates if economic data doesn't support it. 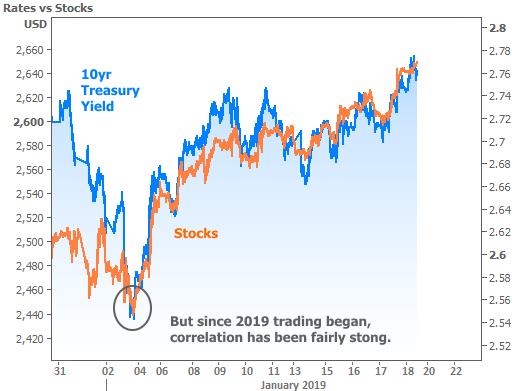 If the data begins to shift, it could easily prevent stocks from continuing higher and reinvigorate the interest rate rally. Moreover, the most recent jump in rates hasn't been excessive so far. 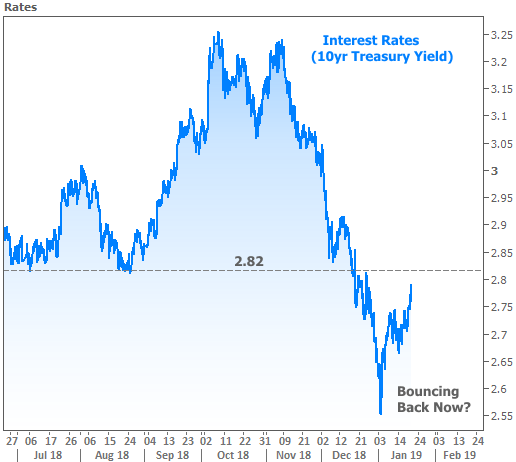 Ever since rates bottomed out 3 weeks ago, 2.82% in 10yr Treasuries has been an important line in the sand standing between the lowest rates for most of 2018 and the past few weeks. In other words, we could overlook a bit of additional weakness in rates, as long as we see some show of support just overhead.